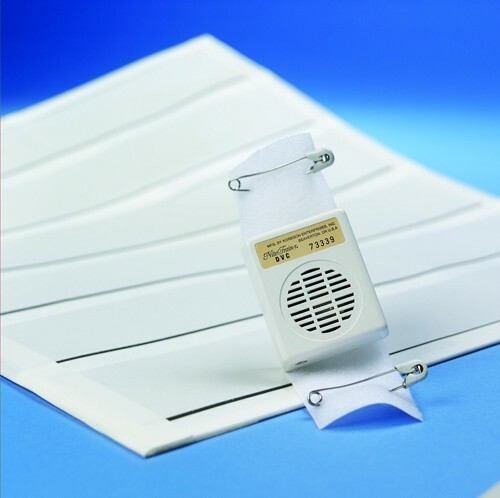 Moisture-sensing bed pad attached to a miniaturized alarm box offers an effective way to stop bed wetting. Simply place pad underneath dry bed sheet with moisture sensor strips facing upward. Alarm will sound as moisture touches pad. Pad is 20 x 26"; alarm box is 2 x 5". Includes 66" electrical cord for entire unit and 9 volt battery for alarm box.